Anyone close to me knows how much I loathe domestic chores. All that dust, grease and grime that seems to shift from one end of a surface to another. Even with the ‘latest’ cleaning product I never seem to have much luck with a ‘gleaming mirror’ or a ‘surface I could eat off’…. So imagine my delight when, at the majestic age of 42 I stumbled across the delights of lemon juice, vinegar and baking soda! Now that spring has almost sprung and the sun light is shining through my bathroom window, I could no longer ignore the heavily water drop stained shower screen. I tried with various shop bought products to remove these unsightly stains but with no joy. So I turned to our trusty YouTube and found the link below explaining what natural products I need and how to use them. And guess what….it worked and really well. Now I have had this success, I plan to encorporate these more into my domestic cleaning routine in the future. Squeeze lemon juice onto a sponge and then sponge down shower screen. 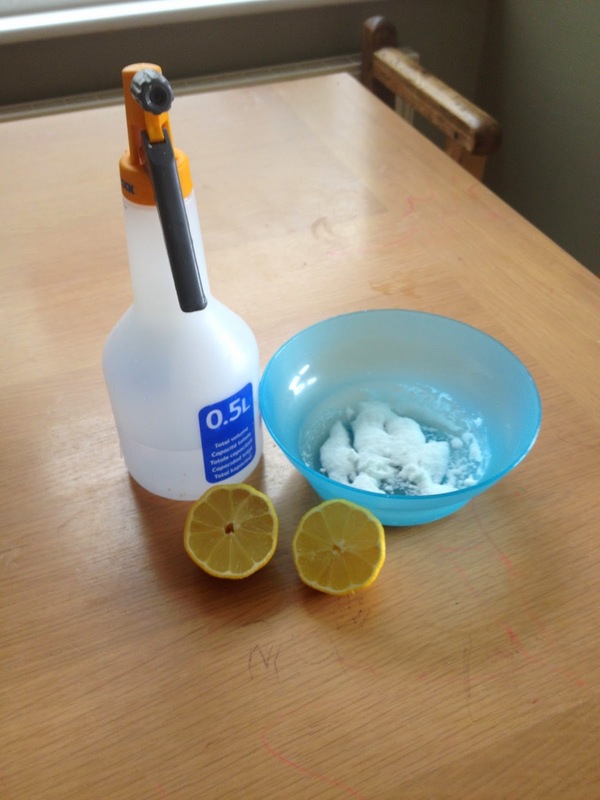 Mix one part vinegar with 3 parts baking soda to make a paste. Smear some of the paste onto the shower screen and leave for up to an hour. Mix half water with half vinegar in a spray bottle and then spray the shower screen. Squeegy the excess liquid away and wipe dry with kitchen towel. Do you know what……it works !! !